March Madness is in full force, which means it is time for our annual Headphone Shootout. We have 3 categories, which consist of in-ear, over-the-ear, and wireless. And as usual we have products form great manufacturers, namely Audiofly, Audio-Technica, Blue, JBL, Kenwood, Kingston, Klipsch, Massive Audio, Monster, and Westone. This year they range in prices from $80 to $600. With March Madness the teams are bracketed by seeds based on performance. Typically the lower seeds beat the higher seeds, but there can be surprises. With headphones, they are priced based on performance. But there can be some surprises as well. This year we are starting with the in-ear models. They start with the Klipsch XR8I Hybrid for $279, Audio-Technica ATH-IMO2, Westone Am Pro 30 for $439, Klipsch X20i for $549, and Audiofly AF180 for $599. They all feature balanced armature drives, most of them have multiple balanced armature drivers, except for the Klipsch XR8i Hybrid. The Klipsch XR8i is a hybrid design with a full range balanced armature, and a second dynamic driver that is tuned as a dedicated subwoofer, which I am particularly excited for! The 1st Klipsch IEM is the XR8I Hybrid, which I am particularly excited about. I tend to be a bit of a bass head, so I like a lot of bass. They showed these off at CES, and we jumped at the opportunity when Klipsch wanted these included in our annual shootout. What makes the Klipsch XR8I Hybrid so special is the dedicated subwoofer driver in each IEM. They feature a full range balanced armature, then a dedicated subwoofer driver! The Klipsch XR8I came in a nice looking clear plastic box so you can see the IEM on a plastic display in the box. The Klipsch XR8I was mostly made of plastic, with some aluminum in the molded housing. Quality of materials used was very good, as was the build quality and fit and finish. They appeared in hand to be a well made product. Also included was the owners' manual, carry case, and extra ear tips. I loved the little holder for the additional eartips. It was a little plastic piece, almost like a credit card, with little stubs to hold the extra eartips. There is also an in-line mic and controls to use with your smartphone. The real question though is how do they sound. This year, we included some tunes to really test the bass. And with the recent passing of David Bowie, we thought we would honor him a little bit and include one of his songs. So while the Klipsch XR8I looks impressive, as the saying goes, the truth is in the pudding. And with that said, it's time for some aural tasting. With David Bowie: Let's Dance, the bass was deep with a lot of authority! They threw a nice big soundstage. Drums had nice dynamics, knocker sounded natural, and vocals had nice texture. Journey: Don't Stop Believing, the keyboard sounded natural, with smooth vocals and nice resolution. Kick drum had good depth. Also Sprach Zarathustra, it had excellent ultra low bass extension that played with a lot of authority! Horns were smooth sounding. Nice resolution in the tympani. Junior Wells: Why are People Like That, had nice texture in the vocals. Bass guitar had excellent depth and authority. Harmonica was dynamic. Gershwin: Rhapsody in Blue, the clarinet sounded natural, as did the piano. There was nice texture and resolution in the bassoon. Tympani had nice low end extension. Brass was really clean sounding. The overall sound was smooth, just a tad on the warm side, with good resolution and excellent bass response! It's the closest headphone I have heard that sounds like a home or car stereo system with a subwoofer. Klipsch knocked this one out of the park in terms of bass response. And when it comes to the fit, it looks like Klipsch has an unfair advantage. With some features, it's easy to think it's just hype and no real advantage. But with the oval tips...it was not just hype! They helped make for a really easy fit, for both sound quality and comfort! Audio-Technica is known for their great headphones that give good bang for your buck. And here we have their ATH-IM02 IEM. They are part of their professional series, so no built-in mic. These are designed just for listening. They feature a 2-way design with detachable cable. The Westone Am Pro 30 is a brand new model that is actually not yet available, but soon will be within the next month or so. Westone makes some excellent IEM's and have been included in our annual shootout in years past. They jumped at the opportunity to be included again this year, but they did not have a final product with packaging, so a final engineering sample was provided with no packaging. They did promise that the engineering sample provided will sound just the same as the final retail product, but look a tad different than the final product that ships. Although comparing what was provided to the look in the photo on Westone's website product page, the look is really close! So when you see our photos, the final product will look just a tad different, if you look really closely. I had to study it for a few minutes to find the extremely small difference. They looked like a final product to me! The sound in all was extremely neutral, with lots of resolution, and good bass depth and authority. And the SLED Technology worked! For musicians on a tight budget...this is for you! I'm not sure that they helped give a bigger soundstage the way open back over the ear headphones typically sound. But it was pretty cool being able to hear some of what is going on around you, in your environment. Next is Klipsch's 2nd entry into our shootout, the Klipsch X20i. In addition to wanting their X8RI included, they also wanted this model, their top of the line, included. And I can see why. The X20i is part of their Reference series, and their top of the line, for good reason. While it is only a 2 way model at their $549 price point, the way that they designed integrated the two balanced armature drivers is supposed to bring stellar sound. The overall sound was more refined, just a bit warm, and so silky smooth! And I loved the level of resolution that they provide! The housing is actually very small. So if you have small ears, they are much easier to get a great fit! And for those not so small ears, they have larger sized eartips to help you get the right fit. I could not believe the level of sound provided by 2-way monitors!!! Last but not least is the Audio Fly AF180. The AF180 is also one of Audiofly's top of the line products, and it shows just as well. 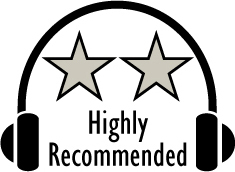 Having reviewed their products for a few years now, I at first was impressed with the sound of Audiofly's products. They always seem to give a big bang for the buck. But I soon came to learn that's the way these Aussie's roll. They like giving value to their customers. So when given the opportunity to see if the AF180 continues in the tradition, We naturally jumped on it! All of the IEM models in this years shootout performed very well. They were also all made very well. So no matter what you sound preferences, they are all made well to provide years of service. The Klipsch XR8I provided a detail I would expect from a single balanced armature. The sound was overall smooth, a bit warm in signature. And with the built-in subwoofer driver, it played deeper and with more bass output than any of the other IEMs. The Audio-Technica ATH-IM02 takes the detail and resolution to the next level with incorporating dual balanced armature drivers, while lacking in the bass output of the Klipsch XR8I. They also feature detachable cables. Overall sound signature is a just a tad bright and provides very good resolution. Next are Westone Am Pro 30, and they up the ante even more, providing three balance armature drivers. The level of detail, imaging, and soundstage are exceptional, which I have also learned is signature Westone. I also liked their SLED technology, which allowed you to somewhat hear what is going on around you, and that feature could make it perfect for you. Next up is the Klipsch X20i, with is their top of the line model, and it shows. They performed some serious magic to get sound this good from a 2-way balanced armature driver system! It's dual balanced armature drivers provided a lifelike sound that was silky smooth, refined, and a bit warm. And with it's small size, if you have small ears, they could be just what you have been looking for. Last but not least is the Audiofly AF180, with it's quad balanced armature drivers. They had an overall neutral sound, and provided an aural bliss that must be heard to be believed. And surprisingly the bass performance in depth and output was 2nd only to the Klipsch XR8I. Based on their design, features, quality, and performance, the Klipsch XR8I and Audio-Technica ATH-IM02 has earned our Highly Recommended Award. 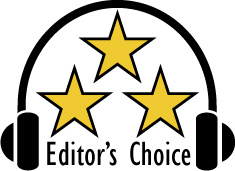 The Westone Am Pro 30, Klipsch X20i, and Audiofly AF180 have earned our Editor's Choice Award. For more info and complete specs, check out their website at www.audiofly.com, www.audio-technica.com, www.klipsch.com, and www.westone.com. Creative Labs has come out with some excellent products in their SoundBlaster line over the years. Last year we were privileged to be able to review the SoundBlaster Roar 2 wireless speaker system. As usually, better and greater products are always being brought to market. Now we were given the opportunity to review the next generation from Creative Labs called the iRoar. And it does look to be a better and improved product. Also included is the wireless microphone accessory for it. The Creative Sound Blaster iRoar came in a great looking printed box with photos of the iRoar, and its features and specs shown. It was well protected. Materials used in the construction was both metal and plastic. Quality of materials used were very good, as was the construction. Fit and finish was excellent. And the heft in hand was also very good, which gives the impressions of a well put together an solid device. The Creative iRoar is a flagship device, and it shows! Also included in the box were the quick start guide, power adapter, USB cable, and carry pouch. You may have already read our review of the previous generation Sound Blaster Roar 2. The new iRoar is built on the success of the Roar 2, with some extra goodies. The new iRoar's back panel now has an optical audio port. The sides now have a mesh to protect the passive radiators. Under the hood, the iRoar now has the SB-Axx1 powerful audio processor. Play time is more than doubled from 8 hours to 20 hours thanks to the larger built-in battery. Also new is the iRoar dashboard app, which lets you totally customize the sound using your smartphone or tablet. If that wasn't good enough, with the optional iRoar Mic, you can turn it into a personal wireless PA system. And the optional iRoar Rock is a separate subwoofer that connects to the iRoar to really pump out the bass. I was stoked with the new iRoar! As I said before, the Roar 2 was a great player. But the new features of the iRoar had me excited. Creative increased the functionality by adding an optical port, to allow more devices that you could use the iRoar with. The SB-Axx1 processor provides better processing. And the iRoar dashboard app really helps you customize the sound. I also loved the updated controls on the top, that are easy to read. Especially the digital readout that shows the volume level and status, such as showing the bluetooth icon. Whoever designed the display and control panel nailed it! The range of the bluetooth was also very good! Having over 3600 square feet at my residence, I had it set up in our sound room. I was able to pair it very easily with my HTC One M9. I then proceeded to walk all around downstairs, as well as going upstairs and throughout the bedrooms. There were multiple walls between me an the iRoar, yet it performed well, staying connected to my HTC One. The optional mic that allows you to use the iRoar as a PA system did not perform as well. But it also was not designed to go that far away from it either. I was able to go about 40 feet away and a few walls between me and the iRoar before it started to drop signal. Still really good! The optional mic to use the iRoar as a PA system was designed for you to be standing close to the iRoar, and in this design it performed well with no signal drops, and sounded good as well. But now it's time for the real question: how does the iRoar sound? I am please to report that the iRoar doesn't disappoint in it's sound quality either. I found myself listening to all different genres, and the iRoar sounded great in all of them. I found myself listening to a vast variety of music. I went from Michael Jackson, to No Doubt, Journey, Justin Timberlake, Mannheim Steamroller, Eric Bibb, John Williams, and even George Gershwin. It provided big sound from an extremely small package. I was very impressed with how loud the iRoar would play, and sounded good doing so! With it being as small as it is, I wasn't expecting a large soundstage. Yet the iRoar provided good stereo imaging, and a deeper soundstage than I expected. The highs were crisp and clean, the mids were smooth, and provided excellent harmonics. Percussion cymbals were crisp and very dynamic, as well as drums. Vocals sounded very natural with nice texture. The clarinet in Rhapsody in Blue provided some woodiness that I as a clarinet player like to hear. I was not expecting the amount of resolution I got, although I should have known better having previously reviewed the Roar 2! Piano is difficult to sound natural, yet the iRoar did good here as well. It actually had some usable low end extension too. It has a built-in subwoofer, and the subwoofer performed as well as to be expected for it's size. The sub gave nice lower end extension, and actually gave a little bump as well. I can only imagine how good it would sound with the optional iRoar Rock! The Creative Sound Blaster iRoar turned out to be a worthy successor to the Roar 2. Next generation products, while looking new and improved on paper, do not always turn out to be a better product. The new iRoar had big shoes to fill with the high performance of the Roar 2. But the new iRoar delivered in spades, improving in functionality AND sound. Creative has another home run on it's hands. Based on it's design, features, quality, and performance, the iRoar has earned our Editor's Choice Award. For more info and complete specs, check out their website at www.uscreative.com.